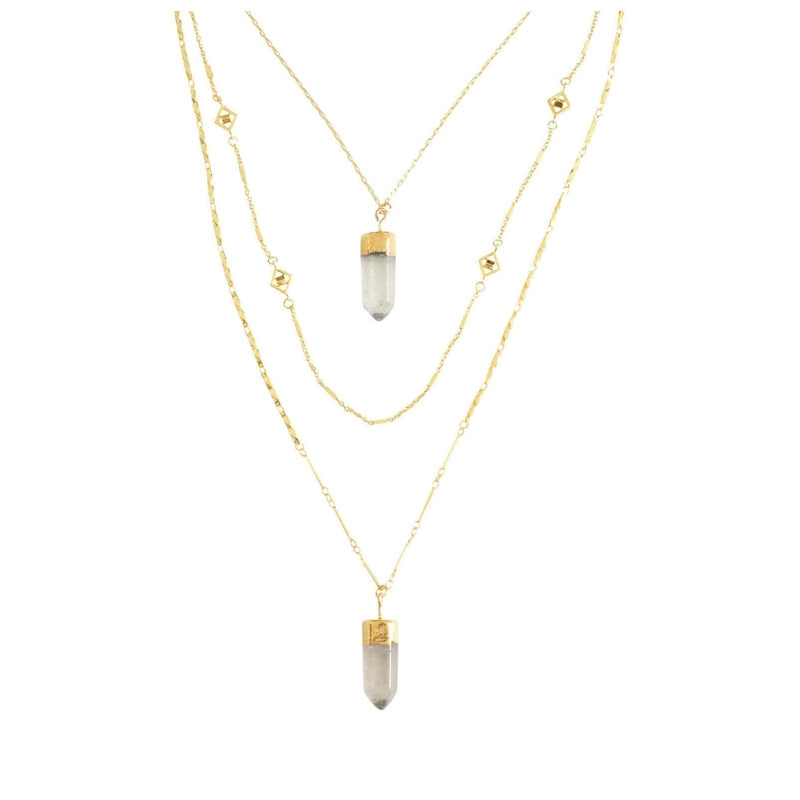 Three layered chain necklaces featuring semi-precious crackled quartz stone and marble pendants. 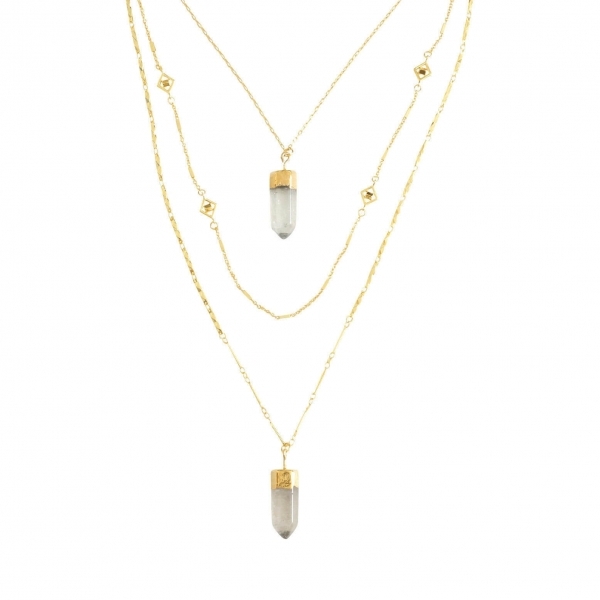 Necklaces can be worn alone or together, or mix and match with other necklaces. With this product, you earn 17 loyalty point(s). 17 point(s) = $ 1.02. Stone colour and shape may vary in each piece due to the nature of semi-precious stones.